On one side a waterfall with bear fishing. The other side has a large glidding hawk. 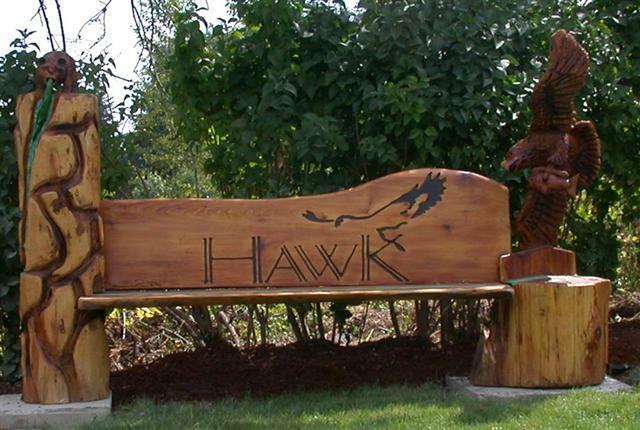 The back of the bench is relief carving of a mountain lake scene.